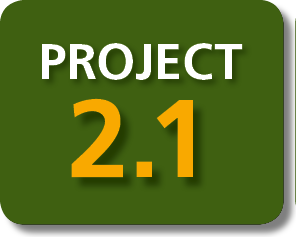 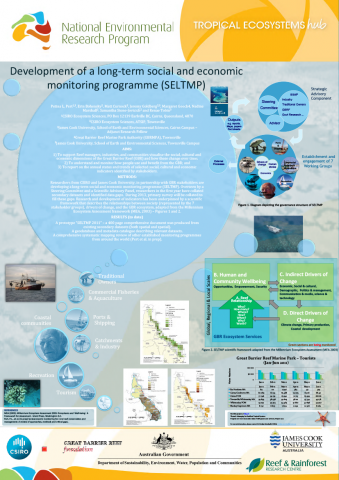 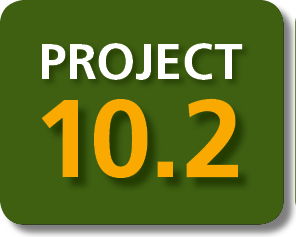 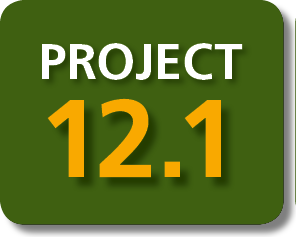 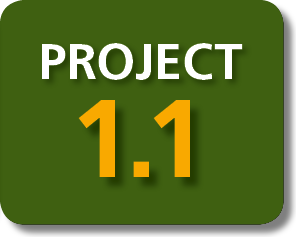 Development of a long-‐term social and economic monitoring mprogramme (SELTMP). 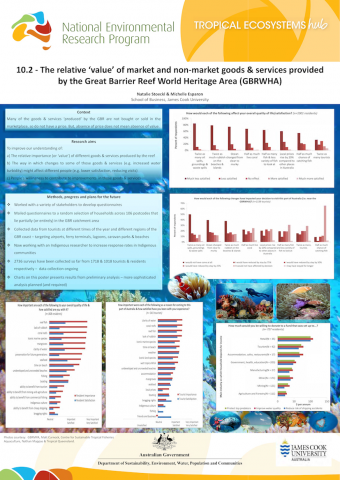 The relative ‘value’ of market and non-market goods & services provided by the Great Barrier Reef World Heritage Area (GBRWHA). 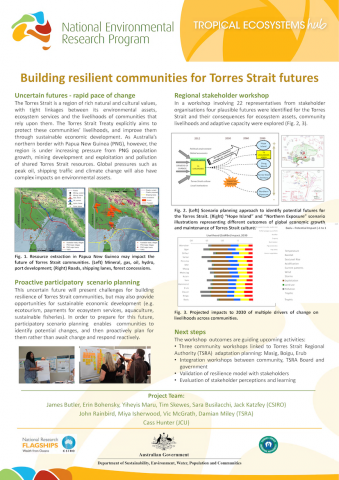 Building resilient communities for Torres Strait futures. 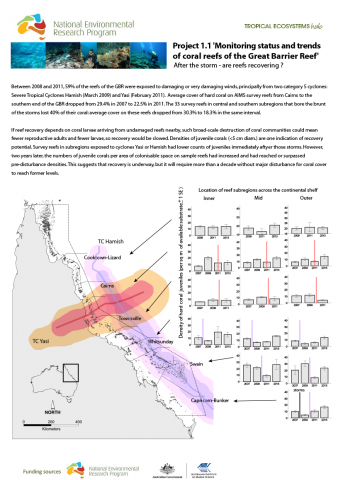 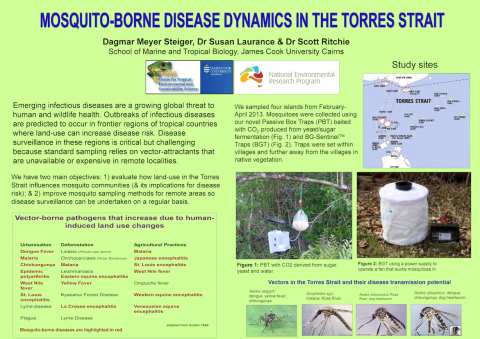 Mosquito-borne disease dynamics in the Torres Strait. 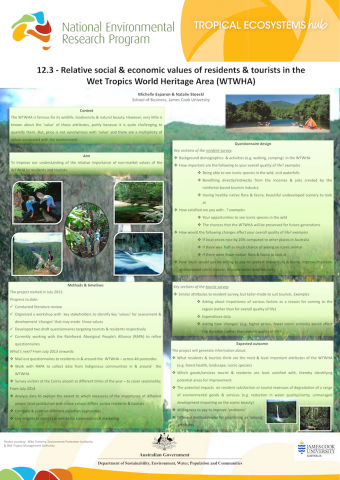 Relative social & economic values of residents & tourists in the Wet Tropics World Heritage Area (WTWHA). 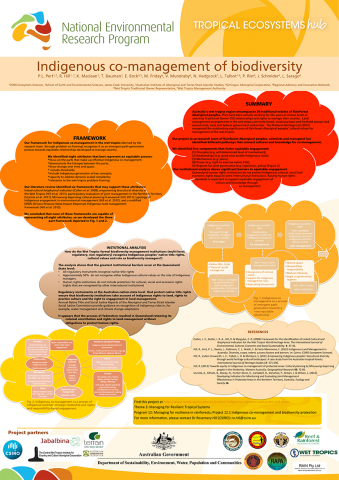 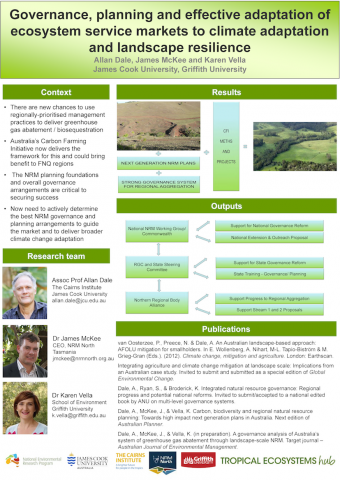 Governance, planning and effective adaptation of ecosystem service markets to climate adaptation and landscape resilience. 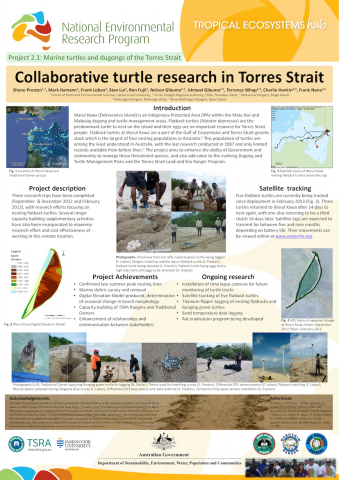 Collaborative turtle research in Torres Strait.